#sol15 March 31 Onward! Type! Delete! Type! Post! This is my last slice in the March Slice of Life Challenge: A slice a day for all of March. You should do it next year! Thank you, Two Writing Teachers! 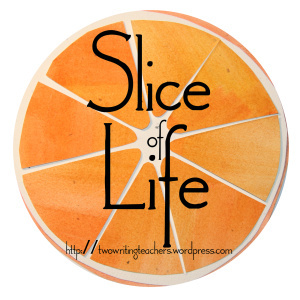 Readers, check out their site, and start slicing! I. Need. To. Go. On. A. Run. 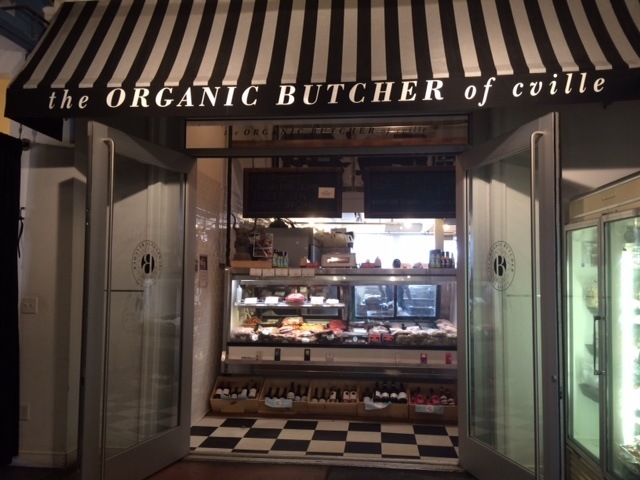 It's the last day of March slicing! But what will I get? I think I had to repeat it because he called me again. And again. I finally walked to the living room, most likely with my eyes wide, my eyebrows up in annoyance at my 3 year old. (I think he was about 3, maybe 4). That’s when I noticed that there was a man on my porch, knocking on the screen door. That’s when I remembered that a psychology professor was coming to meet with my husband about a video project. “I think he was trying to tell you I was here,” the professor said. I noticed (or imagined) a hint of raised eyebrows, incredulous that a mother could be so daft. #sol15 March 27 Thanks for the Feedback! 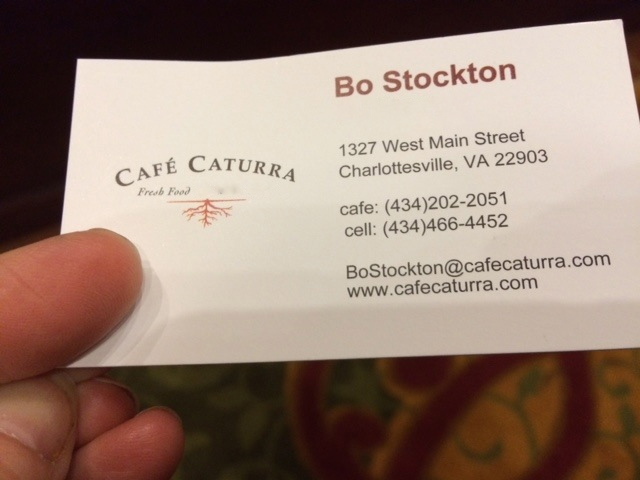 “Thanks for the feedback!” Bo told us, as he handed us his card and we walked out of the restaurant. After our dinner, we had politely told Bo that we wanted to give him some feedback. We included how kind and helpful he and the rest of the staff were, and also the fact that the soup hadn’t been hot. “We aren’t complaining. 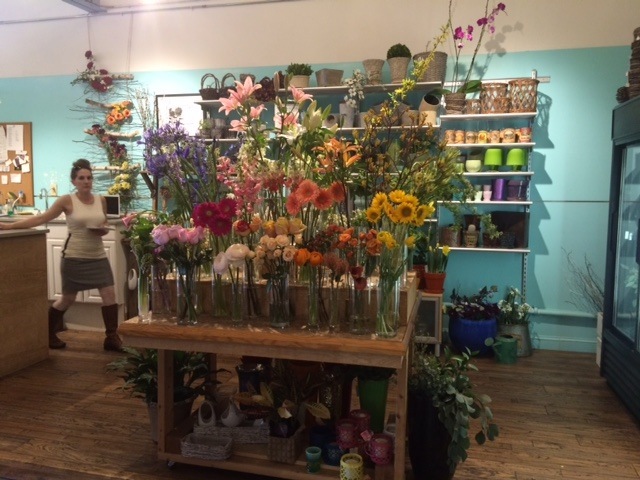 Just giving you some feedback that you can hopefully use,” one of us said. He listened and apologized, and we all talked with him about how it was a timing issue. The restaurant opened under this management 3 weeks ago, and they are still getting their whole game together. Bo thanked us for our feedback and planned on using it to better his timing. Do your kids thank you for your feedback? Assessment. Today was about assessment. I love that the latin root of the word assessment means “to sit beside.” This isn’t what many people think of when they think of assessment, even formative assessment. Carol Ann Tomlinson says that “on-going assessment for planning and feedback, not for judgment and grades…helps us teach better, and helps students learn better.” This idea that assessment informs our teaching is one that we should know as teachers, but we often forget. 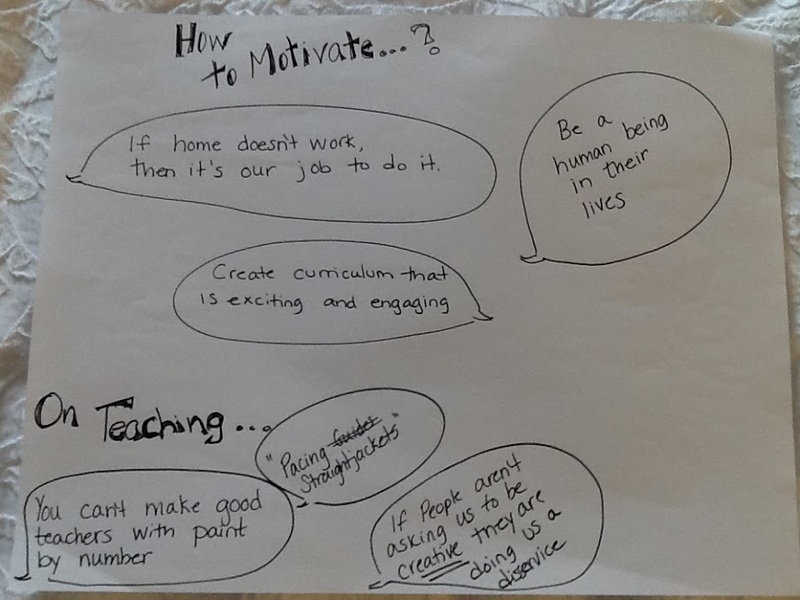 I think I can get caught up in all that assessment can mean, and lose sight of how often I am informally doing formative assessment, and giving feedback. Today helped me solidify some ways to do my formative assessments. Now at the restaurant tonight, we had already tasted the soup, but others were going to taste it too. So, I think our feedback can still be considered formative. We didn’t judge (or complain) and we gave our assessment as learning (and we hoped they would work to better their timing). 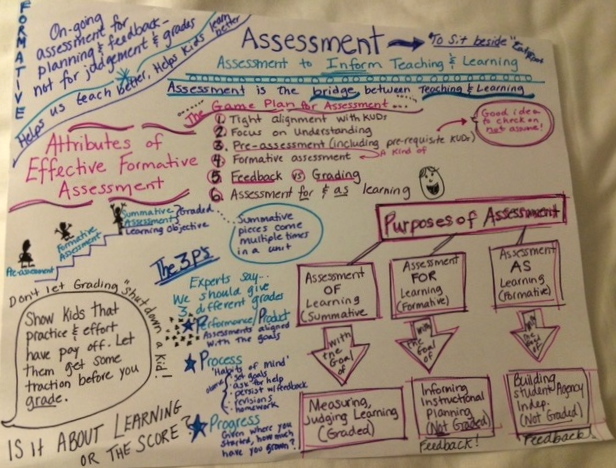 It looks like assessment is everywhere, right where it should be. And that folks, is just another slice of Virginia! That’s the HOME. OF. THE. VIRGINIA. SLICE. 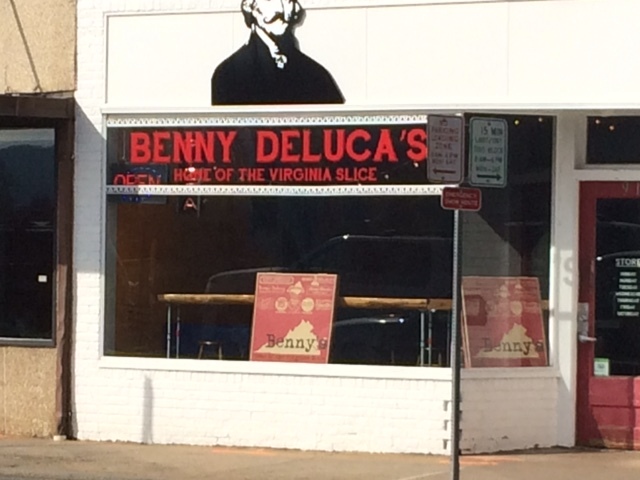 So what are my Virginia Slices so far? Carol Ann Tomlinson uses a great analogy to curriculum. “Standards are not a curriculum. A textbook is not a curriculum. A pacing guide is not a curriculum. These things are ingredients for creating a curriculum.” If you take a grocery bag with meat and tomatoes and onions and spices, you can use those ingredients to make a base for a lot of different meals. Just like you can use the elements of curriculum to make many different engaging curriculums. This is a perfect, smart analogy, of course. But again with all the meat! Where are the Virginia Vegetarians? So far in Virginia, I’ve seen signs of spring, and meat. And of course my real slice is the amazing Carol Ann Tomlinson. My word. I could listen to her for days. Tomorrow I'm going to learn. Today I learned. . .
To say goodbye to my kids before school... for 4 days. Four! Because, sometimes you have a meeting after school, and errands after that. Sometimes you have to pack for a conference, and finish sub plans. Sometimes you are starting to get a cold and you are trying to fight it off. Sometimes your slice is just that, a slice of sometimes. "That's my job! Please! Ask! Ask more questions!" We walk into the science center party about 5 or 10 minutes late, and I search for the hostess. I have no idea what she looks like, and only two or three guests are familiar to me. All the faces around me look serious, stern, busy. So many strangers. A 5 year old’s birthday party can be a stressful place to be. We finally find the hostess, or at least I think it must be her. She’s holding a present, and talking to someone else. She introduces herself to me with an “Oh, you must be E’s mom?” I’ll get to hear a lot of that this afternoon. “E’s mom” is a nice label to have, it’s just odd not to know anybody. The entire room is full of so many strangers. I focus on E, and playing. 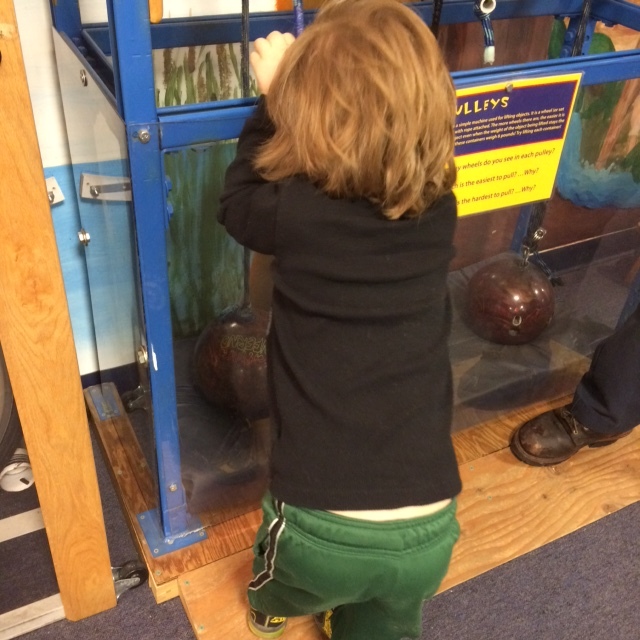 The science center is a fun place that we don’t get to often. 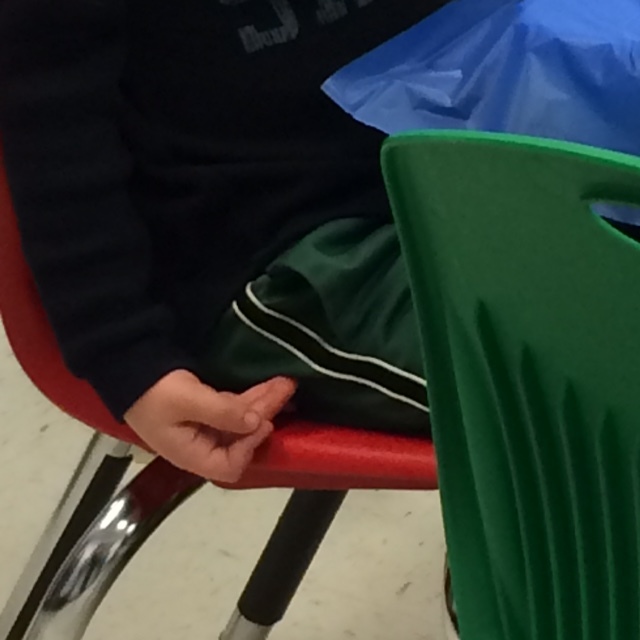 We sit at the magnet block table, and as he builds a house, I tell him I want to make a two story house. A little boy walks over and asks to play. 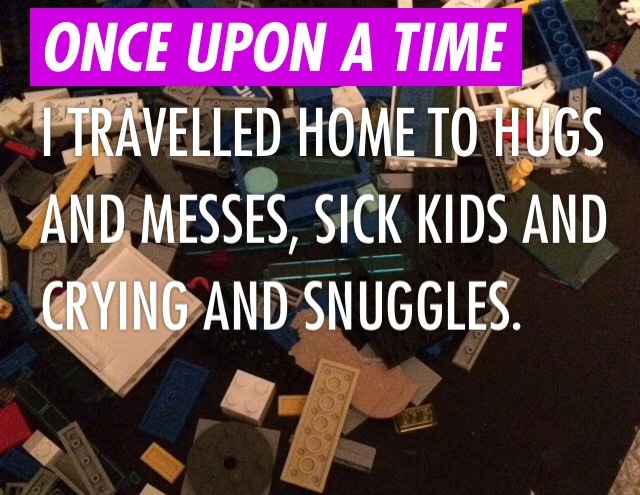 “I want to build a Toy Story house too!” he grins. At least kid strangers are cute. He walks away distracted by a friend, and Evan smiles at me, “A Toy Story house instead of a two story house? He must be too young to know the difference.” We got up and walked to the party room, through so many strangers. I think, when H was in preschool, I knew everyone. For a year and a half, I was home with baby E, able to volunteer at the school, stop and chat in the parking lot, and attend events. I was a co-chair on the board so I was very involved. I knew the kids, I knew the parents, I knew the siblings. It felt comfortable and friendly. I’m good with comfortable and friendly. I’m not so good with so many strangers. After we walk into the party room, a mom looks at me and asks, “Are you E’s mom? He’s so sweet. I love him! He plays so nicely with everyone.” I can’t even reciprocate the comment with one about her children, because although I caught her mentioning twins, and I noticed when she pointed them out at the party table… I don’t know what to say about them! They’re cute? Well behaved for the last 3 minutes that I have been aware of them? So I smile and laugh with her as we watch the kids make shark tooth necklaces. I find myself wondering which of these parents would be my friend if I were a staple around the preschool this year? And, I find myself remembering my old preschool mom friends from years past. Some I still keep in contact with on Facebook, or see out and about, but others have moved, or moved on. I miss those familiar faces as I look around at so many strangers. Most days I am chill about my work schedule. I mean, aside from being busy and crazy. And, aside from never having enough time. . . and most of all aside from missing my kids during the day (and wondering why the people I love the most in the world and I spend most of our days separated.) But, most days, the nitty gritty of the schedule doesn’t bother me. I’m okay that I don’t do school drop offs, or pick ups. I’m okay that Mr. Thought is the one to do field trip chaperoning, and that I have to take personal days if I want to attend special performances. But I feel bad, guilty, and off as I look around at so many strangers. Some people must be good at this party thing. They must make small talk, and jokes, and not be stuck inside their head, wondering what the other people think of them: the mother who is never at preschool. To them, I’m the stranger!